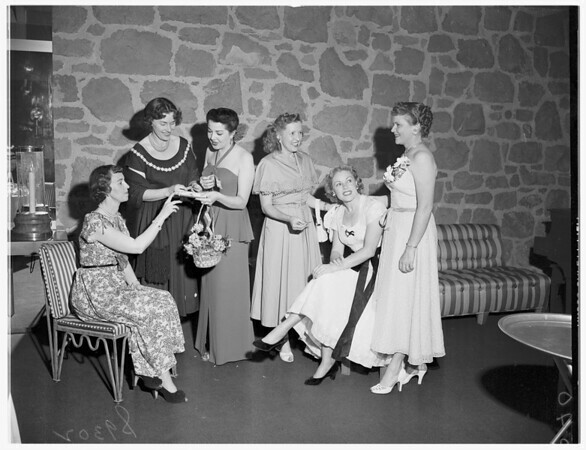 Another supplementary material reads: "Our Lady of Lourdes Guild, Annual Benefit, held at the Bel-Air Country Club, Saturday evening, April 28th, 'Plantation Party'. Proceeds go to the Novitiate of the Daughters of Mary & Joseph in Brentwood. Thank you, Alice Schmidt, Ar 95930".